As a violin student goes from cute-for-playing-for-neighbors-and-relatives to serious advanced student, the music he or she needs increases. 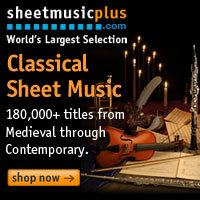 Below, I give you the five absolutely essential sheet music collections that every serious violin student needs. 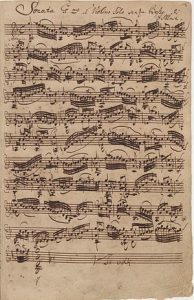 There are no elite violinists in the world that haven’t studied these works or learned these etudes. If you want to join them, you better get your credit card out and order away. My teacher in music school was a student of the great violinist and pedagogue Carl Flesch. He talked about Flesch constantly and had me read his book, The Art of Violin Playing , and of course, he had me learn the entire Carl Flesch Scale System . The book is excellent, if a little dated, but the scale system is an absolute necessity for any advanced student. The scale system contains scales in every major and minor key. In addition, there are arpeggios, double stops, and harmonics for each key. To me, learning the scale system is like reading the dictionary. If you know all the words, you can read every book and write anything you like. If you can play this entire book, you can play anything in the entire violin repertoire. Good luck! Unaccompanied Bach. It is the foundation of violin technique and repertoire. All students learn it. Maybe not all six, but at least the E major Partita and the G minor Sonata. All six are masterpieces. Who else could write a 3-part fugue for solo violin? These works stretch violin technique. There are some violinists who excel at Bach and some who don’t. My favorite recording of these is by Henryk Szeryng. Absolute perfection. On the other hand, while I love Itzahk Perlman, I have never cared for his Bach. Of course, the highlight of these works is the famous Chaccone. It is the last movement of the D minor Partita and while it is a great piece, it isn’t exactly a basket of fruit to play. If you can play these six works, you are not just an advanced student, but already an elite player. These studies begin with some relatively benign etudes and progress to a Bach-like fugue with no. 42. These are required learning for advanced students. My teacher (who studied with Carl Flesch, above) told me he actually taught an adult how to play the violin using only etude no. 9. That one is great, as are many others. Learn them all and you will have learned good bow technique, intonation, and tone production. I have actually arranged a few of these for various ensembles. My favorite has always been the march, etude no. 35. You can see my string orchestra arrangement here. Either way, these studies provide a terrific introduction to more technical etudes like Rode and Dont. 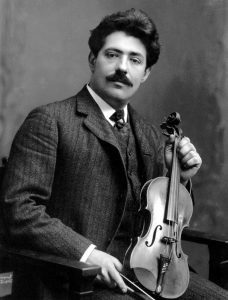 Herr Kreisler was one of the preeminent violinists at the turn of the century – the 19th to the 20th. He also wrote and arranged some wonderful works for violin. These can all be found in one of a few collections now, and they are all essential components of any advanced student and his music library. These works are mostly short and fun little show pieces. There are original compositions, works in the style of, and transcriptions and arrangements. A few of my favorites are Prealudium and Allegro, Liebeslied and Liebesfreud, and the Variations on a Theme by Corelli. They are nothing like Paganini, Weiniawski, or Earnst in terms of violin showpiece difficulty, but they are fun to play and have plenty of challenges for all types of violinists. My college senior recital featured three of these plus a fun work by Sarasate, all on the second half of the program. Well, duh. These are studied by virtually every elite violinist out there. Especially the famous no. 24, which has been made into lots of other famous pieces. All of these feature the most challenging violin technique. Each one has different violin tricks, so if you can learn the different tricks, you can learn each caprice. The thing is, very few violinists are experts at all of the violin tricks. I, myself can play left-hand pizzicato and ricochet bowing with ease, but I stink at harmonics and tenths. I studied most of these, but not all. Everyone should study no. 24, no. 19, no. 16, no. 17 and no. 9. Everyone has his favorites and those are mine. Caprice no. 1 is very treacherous, indicating that these are not written in progressive difficulty. Number 5 is one of the toughest things he ever wrote. Buy the book and learn as many as you can. If you can play all of these, then you are already an accomplished player. These are all pretty much required learning for all advanced students. Once you have learned and mastered these, you are now an elite violinist and ready to get out there and make your mark on the world. Yes there are many other pieces you will study, and many of these are standard as well, but I believe these five are the foundation of every violinist’s technique and repertoire.